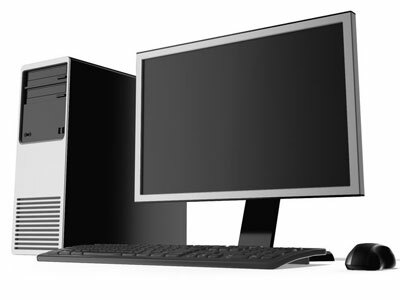 At Custom Computer Systems, we pride ourselves on offering custom built computer systems, computer hardware, and computer services geared to your exact needs. Your system will never be oversold or underpowered with us. We will quote a custom built computer system that’s right for your needs and budget, then build it. At Custom Computer Systems, you’ll never sacrifice quality for low prices. We use only the best in reputable computer hardware. You’ll only find the latest from your favorite hardware and software manufacturers in our computers. Our systems are affordable, built to last, and operate reliably. Whether you are a home or business customer, we have the right system for you at an affordable price, and we stand behind our work. We take care to match the computer to the job it will perform. Your Receptionist doesn’t need the same system as the Office Manager, nor the manager the same power as the Engineer. We believe you should pay only for what you need, and receive reliable service for what you do need. Backup systems, strategies, and training, to keep your data safe. Networking services and wireless networks available, including experienced installation. Business system maintenance plans are available. We will be on-site before you know it to solve your problems. Many people are finding a second computer a necessity, for the kids, or to introduce their parents or grandparents to the Internet. You may find everything you need in a slightly older but still very capable machine. Consider a used or refurbished computer from Custom Computer Systems. We take the same care in matching your needs with the right machine, new or used! We are even an official Microsoft Refurbisher; so you know that a unit restored by Custom Computer Systems is a trustworthy one. Questions? Call us today at 724-532-1095 or try our easy to use contact form!